This post is for teen girls and preteens that are interested in starting out in beauty and makeup, specifically for summer! Hard Candy Kiss and Tell ($12)- fruity flavored and scented lip glosses with fortunes in the caps! 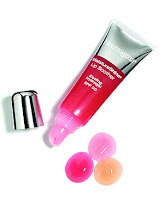 Neutrogena MoistureShine Lip Soother ($6.99)- mega shine with spf20! Vera Wang Princess Perfect Pair ($25)- get a pink shimmery gloss on one end and your fave VW Princess scent on the other! 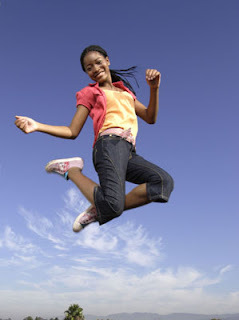 Teens you have reached the age where your appearance is a bit more important to you, but you have this darn acne and skin changes that are getting in the way... how do we deal? First, you want to take care of your natural, beautiful and radiant skin: cleansing, toning and moisturizing. These steps are most important! Look in the drugstore for products that fit you-- oily skin, dry skin, acne prone, etc. In the summer time, the heat is up, our bodies are producing more sweat and oil, so consider those factors as well. If things are too severe and you can't figure out things at the drugstore with a parent, ask your parent to see a dermatologist. -Swipe a sparkly, brightening shadow across your lids. -Line your lids with classic dark brown or a funky summer fun color such as blue, mellon or purple. -Dab some cheek stain on your cheeks. Use a gel-stick as the liquids can be tricky and hard to work with. -For your lips, choose your fave gloss. To give the color some extra pop, swipe a berry colored lipstick on top of your gloss for a sheer wash, but more pigmented color. Let's not worry about lipliners, just yet, even though we see our mothers and aunties using it. -Get some tropical colored or white polish for nails and toes. -Extra glam- get some body bronzer or shimmer. 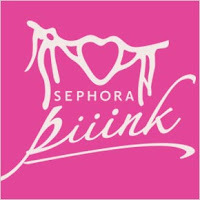 For more amazing products check out the beauty addict's haven, Sephora for their Pink line. Remember to leave a message below for Comments4aCure! Very cute entry =] Shall show my lil sis. Cute entry! 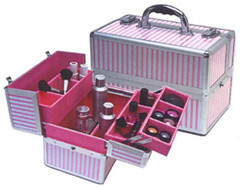 Makes me think of my first teen makeup memory. My mom took me to the Clinique counter for a makeup lesson and bought me eyeshadow, blush, foundation, the works. She was really strict with me growing up and so this makeup counter trip surprised me. Later on she told me she bought me all of that stuff because she didn't want me looking like a "garish streetwalker" and that she especially didn't want me sneaking around behind her back to wear eyeliner, lolololol. I love that woman.